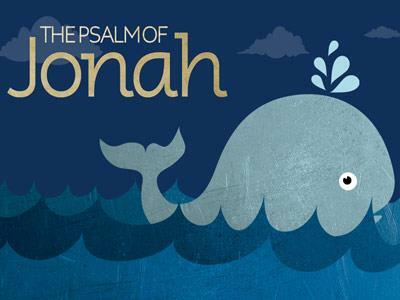 Summary: Background material about the book of Jonah which shows God's willingness to respond to our repentance. 2. The book of Jonah is an amazing story about God’s willingness to respond favorable to any and all who are willing to repent of their sins and turn to Him. 3. Background of book of Jonah. Jonah – his name means “dove.” He was the son of Amittai, in 2 Ki. 14:25 he is described as a prophet of Gath Hepher, a town of lower Galilee. 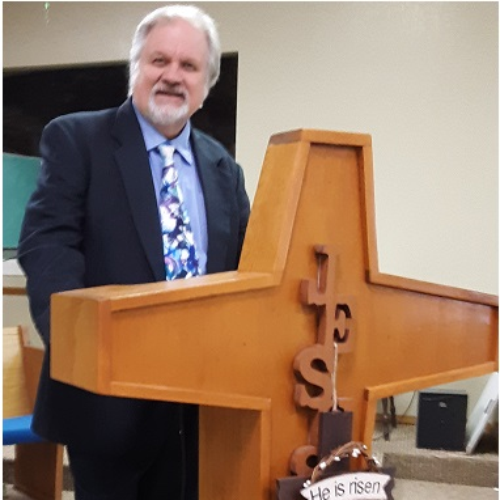 As a member of the northern tribes, he was a prophet to Israel. This is a real story about a real person! A. The book presents itself as an authentic historical narrative. B. Ancient Jews regarded it as historical. C. He is present in 2 Ki. 14:25 as a historical person…with a real father; from a real place; during a real setting. III. Third, the Assessment of the situation. History. Under Shamshi-Adad I (c. 1748-1716 B.C.) Assyria began to spread as a great city-state, with strong fortifications and a splendid temple to house its national god, Ashur. As the political powers of Babylonia declined, Assyria entered its Old Kingdom period, c. 1700 to 1100 B.C. By the fourteenth century B.C. Assyria had risen to a position of power comparable to Egypt on the Nile and the Hittite Empire in Asia Minor. Among the Amarna Tablets is a letter written by Ashur-uballit (“Ashur has given life,” c. 1362-1327) to Amenhotep IV of Egypt, in which the Assyrian monarch speaks as a royal equal. With Tiglath-pileser I (c. 1114-1076) Assyria entered the period of empire, extending from c. 1100 to 633 B.C. This great conqueror was able to push Assyrian power westward to the Mediterranean Sea and northward to the region of Lake Van and the mountains of Armenia. The next two centuries, however, marked a period of retrogression for Assyria until the rise of Ashurnasirpal II (883-859) who made his land a formidable fighting machine and who swept everything before his ruthless cruelty, as his annals tell. His son Shalmaneser III (858-824) inherited his father’s gigantic fighting machine and conducted numerous campaigns against Syria-Palestine, in one of which he fought against Ahab of Israel at Qarqar on the Orontes River in 853 B.C. and in another received tribute from “Jehu, son of Omri.” Shalmaneser III called himself “the mighty king, king of the universe, the king without a rival, the autocrat, the powerful one of the four regions of the world, who shatters the might of the princes of the whole world, who has smashed all of his foes as pots” (D. D. Luckenbill, Ancient Records of Assyria and Babylonia, vol. 1, sec. 674). Despite his boasts Shalmaneser III died amid revolts that his son Shamsi-Adad V (823-811) also had to face. Adad-nirari III (810-783) kept Assyrian power aggressive, but under Shalmaneser IV (782-773), Ashur-dan III (772-755), and Ashur-nirari V (754-745) declension set in. Then the throne was seized by a great warrior and statesman, Tiglath-pileser III, who assumed the name of the illustrious conqueror Tiglath-pileser I of the eleventh century B.C. and brought back the empire to its glory, even conquering Babylon, where he was known as Pulu (cf. 2 Kings 15:19). This great warrior overran Israel, took tribute from Menahem, and transported his conquered peoples to distant sections of his empire. Soon after the death of Tiglath-pileser, Hoshea of Israel attempted to revolt against Assyria. The new emperor, Shalmaneser V (726-722), thereupon laid siege to the Israelite capital of Samaria. Before the fall of the city had been fully consummated a new leader had seized the reins of power. He was Sharrukin II or Sargon II (721-705), whose new regime was inaugurated by the fall of the city. Sargon is mentioned but once in Scripture (Isaiah 20:1), but as the result of the excavation of his splendid palace at Dur Sharrukin, or Khorsabad, he is now one of the best known of Assyrian emperors. In 704 B.C. he was succeeded by his son Sennacherib, who ruled Assyria until 681 B.C. and was succeeded in turn by his son Esarhaddon (680-669), one of the greatest Assyrian conquerors. He added Egypt to the empire. Esarhaddon’s son, Ashurbanipal (668-633), also campaigned in Egypt and seems to have been a great warrior; but he is especially known for his cultural interests. The great royal library, in existence at least since 700 B.C., was especially his creation. He sent scribes all over Mesopotamia to copy texts on a variety of subjects. After Esarhaddon, the Assyrian stranglehold on the ancient world began to give way. In the intervening years till 612 B.C., when Nineveh fell and Assyrian civilization was suddenly snuffed out, there were several undistinguished rulers. The neo-Babylonian Empire arose on the ruins of Assyria, and a new historical epoch dawned. The New Unger's Bible Dictionary. Background material about the book of Jonah which shows God's willingness to respond to our repentance.